Looks pretty day and night. 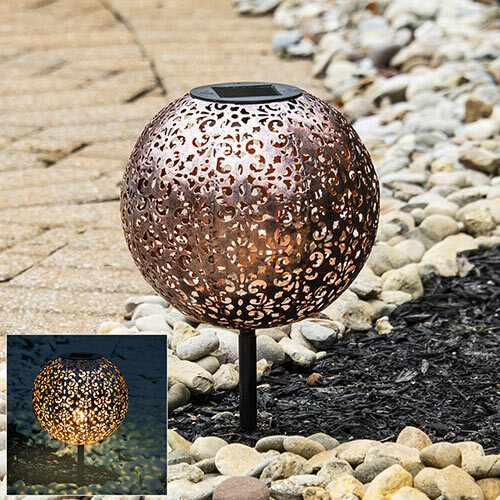 Solar-powered, ornamental ball sits atop a stake and emits a stunning, filigree pattern of light onto surrounding surfaces. Light either side of a path, place in a planter or use it in your garden to illuminate ground cover at night. Attractive as well as practical!